Ancient Future, available August 6th (EU/UK) and 7th (worldwide), is the second collaboration between composer and visionary pianist Ryuichi Sakamoto and electronic pioneer Christopher Willits. 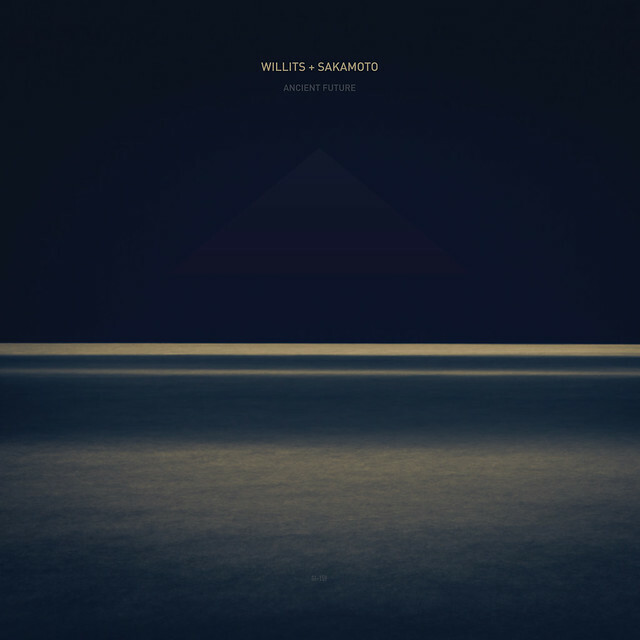 Built around a series of piano pieces that Sakamoto sent to Willits after the release of the duo's first record together, 2008's Ocean Fire, the six tracks that make up Ancient Future are entirely instrumental—and yet, they speak about the very essence of what it means to be human. As a whole, Ancient Future functions as a piece about the creation, acceptance and completion of one's fate and all of life's experiences, following a trajectory through inner conflict, resolution and, ultimately, acceptance. The six-song cycle moves through a narrative of sorts, each piece with a story to tell and an aspect of life to explore. The album opens with the restless energy of "Reticent Reminiscence", an energy that subsides into the introversion of "Abandoned Silence" and "I Don't Want to Understand" and, eventually, the cold disassociation of "Levitation". A certain warmth returns with "Releasing", its guitar arpeggios like washes of sunlight, and the album's journey finally resolves into closing track "Completion", a piece that's full of quiescent tranquility, perhaps reflecting the experience of finally coming to know oneself. Despite its conceptual coherency, contradictions lie at the heart of Ancient Future, as the album title might suggest. Even within the confines of each track, opposing forces are at play—loops of static and feedback provide the backing for delicate melodies that develop and evolve like ripples on a placid lake. And yet the contradictions never feel like conflicts—instead, the diverging elements come together to create something with its own internal logic, perhaps reflecting the way that we are all the sum of our experiences, both light and dark, positive and negative.